Are you seeking a private, waterfront wedding venue in Maine for a meaningful & memorable celebration? French's Point offers our year-round, oceanfront, vacation rental estate, exclusively to one group of guests for the weekend to ensure complete privacy & an abundance of time with loved ones. A weekend at French's Point feels like a reunion & a vacation, with a wedding at the heart of it all. 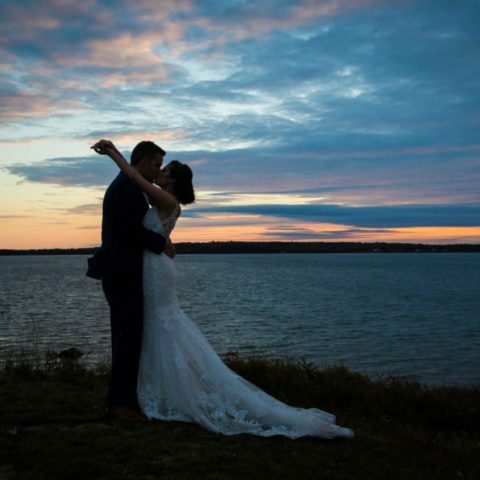 As a blank canvas venue, we provide a beautiful setting for you to cast your vision upon with stunning ocean views, two beautiful homes, 18 guest suites, 14 acres of beautifully landscaped grounds, unparalleled event amenities, 8 possible ceremony settings, 14 different gathering spaces, and our gorgeous sail cloth tent (seasonally available). Here, you select your wedding planner, caterer and vendor team that suit your desired preferences, emphasizes your priorities, and work within your budget, giving you ultimate control over your wedding experience & ensuring one that is unique to you. Since the 1800’s, families have journeyed to midcoast Maine to experience the unique natural wonder that can only be found here. Visitors came to French’s Point seeking the tranquility and the restorative effects of the sound of waves lapping the shore and the intoxicating scent of beach roses and pine needles floating on the salty breeze. Ninety years ago, our family settled here, taken with the unaltered beauty of this place. Today, we open our estate to guests as a vacation rental on the ocean in Maine. We steward the legacy of hosting private milestone gatherings & wedding celebrations here on beaches and along the shore of Penobscot Bay. This allows us the opportunity to share this wondrous gift with our guests while preserving this unique property & ensuring it will endure to be enjoyed by generations to come. 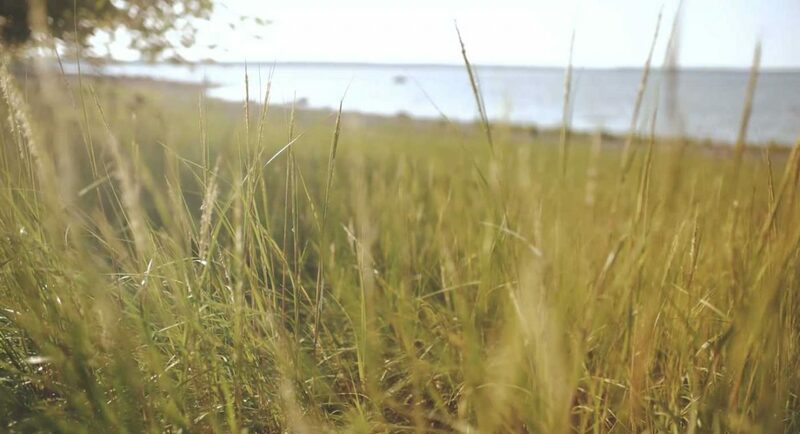 French’s Point offers 14 sprawling oceanfront acres, bordered by 100 acres of State Preserve here on the beautiful coast of Maine, affording our visitors’ complete privacy and sanctuary from the whirling din of the outside world. Together, the seaside estate house and the restored saltwater farm house offer beautiful lodging for 20 to 50 guests and a vast number of waterfront gathering spaces for intimate retreats of 20, or celebrations of up to 200. Come together with loved ones. Celebrate life’s sweetest moments, reconnect, share in unique experiences, and make memories that will last a lifetime, as you can only do when you are truly at home. Create an experience that reflects your vision by assembling your chosen team of providers that will highlight the things that matter most to you. We offer a vast array of inclusive amenities, affording you an exceptional value for your vacation, milestone celebration or wedding. There will never be enough words to describe how happy and satisfied we were with French’s Point (and Jessika & Nicole)! We found French’s Point in a magazine and just knew we had to set up a tour. From the second we walked into the venue we fell in love with it and couldn’t imagine getting married anywhere else. Jessika and Nicole were incredible to work with, they always made time to answer our questions, give us suggestions, and help turn our dream wedding into a reality. 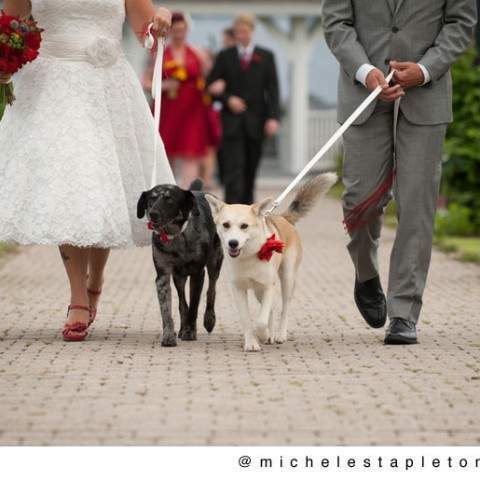 Nicole was our wedding coordinator and we cherished and valued the relationship – Nicole was attentive, polite, professional, accommodating, timely, and understanding. We had both our rehearsal dinner and wedding at French’s Point. The venue is out of a dream – an exquisite estate right on the water. Our guests stayed at Beach Rose Farm House for the weekend, which was equally as beautiful. Our extended family members stayed at other houses located on or near the property, which was very convenient as everything was in walking distance once our guests arrived. Our wedding day is one we want to relive over and over again, in large part because of the location. 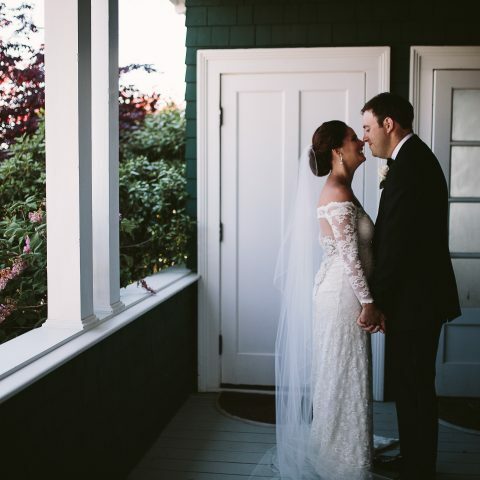 We are so happy we chose French’s Point – beautiful, timeless and classy. It is unlike any other wedding venue. Every guest was blown away by the sheer and unique beauty and we continue to receive compliments daily! My husband and I got married here in July, and could not be more thankful we chose French's Point. From the very beginning to end, the owners and staff were exceptionally professional, organized, and available for suggestions, questions, and concerns. Most importantly, they are genuinely kind-hearted people who don't just run a business - they clearly find joy in serving their clients. The venue itself is exactly as pictured - views are breathtaking, property is beautifully maintained (by the entire family :) and is overall just... so peaceful. We rented both the Farm House and Retreat for the weekend and all our guests couldn't stop raving about the accommodations, quality of service, and venue as a whole. We recommend without reservation! Our October wedding at French’s Point was simply amazing. Back in the planning stages, we had plans to tour six or seven other venues, but we canceled all our other tours after we toured French’s Point because we knew we’d just seen something special and that it wouldn’t get any better. We were right. Everything about the estate is amazing–the location, the view, the estate house itself. It’s warm, welcoming, and elegant. The staff is sweet, encouraging, communicative, and helpful. They provided us with suggestions and inspiration that made our day unique and fun. If you book the venue, you should also consider booking the adjacent farmhouse for your family and wedding party. It’s a quaint, cozy, and adorable place to stay, but it’s also incredibly handy to have the wedding party within walking distance of the venue. We were so happy we made the choice to book the farmhouse too! I can’t thank Jessika and Nicole enough; they were amazing, and I get misty just thinking about what a wonderful day they helped us create. I loved everything about it! We even battled a little rain and couldn’t get married outside at the gazebo like we planned, but it didn’t for one second feel like a compromise to get married in the lovely estate. This place is just heaven! I didn’t know a lot about what I wanted for my wedding but I knew I wanted to be married on the water, but not on sand, because heels and sand don’t mix. Well after searching around, my husband found the perfect wedding venue to fit that criteria, French’s Point in Stockton Springs, Maine. My mom went to go and tour it since we live out on the west coast, and immediately they said that this was the perfect place for us. With gorgeous panoramic views of the bay, and the secluded private event feel, it gave us a breathtaking wedding that we both always desired. 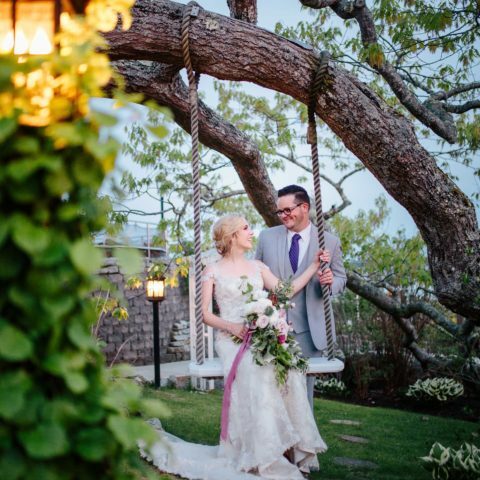 From their many fire-pits, to amazing tent, to cozy farmhouse rentals, the property gave us everything and more. There were a few challenges during the planning period as the venue was going through some major changes at the time and has since altered the way they book the events but the team was very responsive and helpful through many scheduling phone calls. They were patient and understanding of our cross country communication, as we live in CA. Come wedding weekend, we were able to sit back and truly relax as family and friends the way we desired and the team was attentive to all our needs. And when the actual day came, Nicole was there to make sure everything ran smoothly, and hopefully enjoyed the fun times we had during our photo shoot. 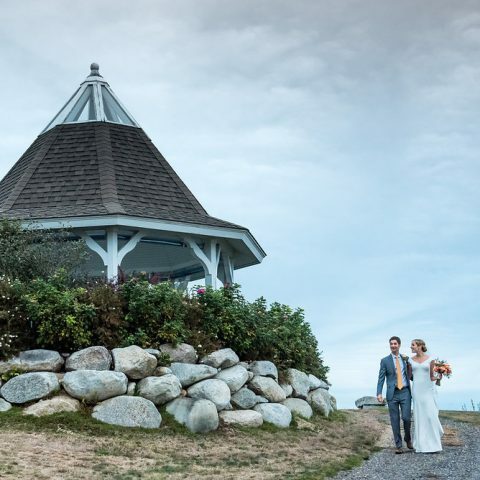 I would definitely recommend French’s Point as the best authentic Maine wedding destination! We had our daughter's wedding at French's Point in July 2017 but started our relationship with the French's Point staff long before. For the months leading up to the big day, we received excellent resources and assistance from the French's Point staff. All our questions were answered quickly and professionally. On the day before and for the rehearsal, the staff was ready and prepared to address and handle all the details. 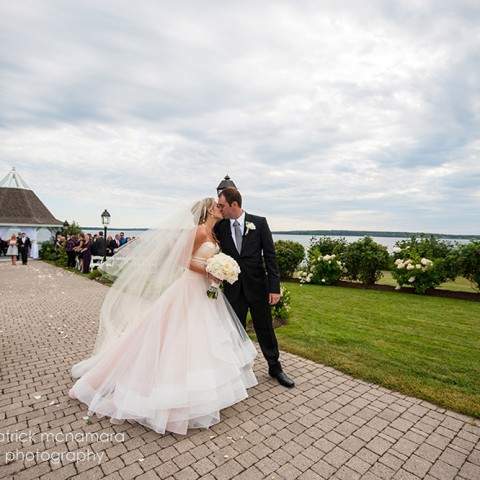 On the actual wedding day, we were in excellent hands and French's Point served as a perfect venue for the bridal party's getting ready time and for the special afternoon and evening our families and guests enjoyed. 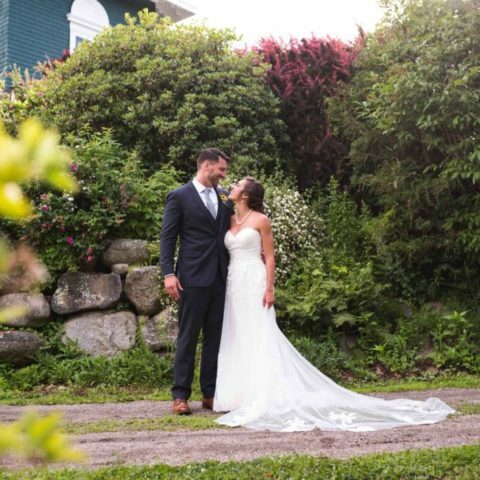 From the staff to the beautiful home and grounds, French's Point served as a lovely setting for our daughter's wedding memories. I am not even sure where to begin, but our entire experience with French's Point was amazing, as a result, our wedding was spectacular! From the very beginning when my husband emailed them to inquire about wedding packages and availability to the day after our wedding we were greeted with true wedding professionalism and highly experienced staff. We were able to get married outside and the reception was nothing short of fabulous. I cannot tell you how many of our guests told us that our wedding was the best wedding they had ever been to and how many of guests complimented the wait staff and bar staff noting how attentive and professional they all were. Everyone that stayed with us at the Farm House stated that it was one of the best weekend's of their lives! The most picturesque spot to have a wedding. I had my dream wedding at French's Point. From the very beginning they treated me with the highest respect. They were there to answer every question that I had every step along the way. Our guests cannot stop raving about how amazing everything was. The staff was 5 stars. The food was amazing! Everyone was so impressed. We rented out the Beach Rose Farm next door for 3 days during the wedding and it was such a memorable experience. French's Point was there to help us with everything. Sarah my wedding planner is the nicest, most helpful person I've ever met. I wish I could do the day over again and again. French's Point will always stay in my heart forever. Having my wedding there was by far one of the greatest decisions I have ever met. My husband and I owe so much to French's Point. Best advice is to have your wedding there!!!!! You will not be disappointed! We had an amazing wedding weekend at French's Point. My favorite part was being able to have all of our closest family and friends on site with us in nearby cottages for the entire weekend so we had extra quality time with everyone. I had been nervous about the location being hard to get to because we had so many people coming from out of town, many of them from the west coast, but everyone raved about French's Point and used it as an opportunity to explore the Maine coast. I did find it confusing at times to keep track of what the facility provides versus what you are responsible for providing - but this is no fault of the staff. They were very helpful in answering all my questions and made sure things went off without a hitch! French's Point went above and beyond, in every sense. The location speaks for itself, but the staff and service were what really set them apart. 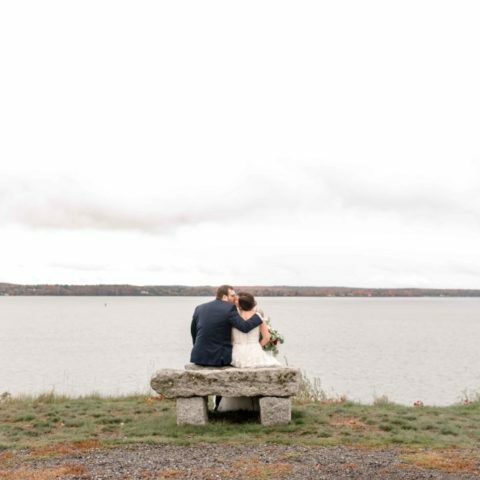 When we visited French's Point last November, we were blown away by the hospitality and attention we received - they were more than willing to do anything and everything it took for us to have the wedding we wanted with them. Then there's the benefit of using their suggested vendors: they have a catalog of vendors that they recommend, which they do with an eye towards the personality of your wedding. All the vendors have done events (successfully) at FP before, so they know the space, the photo spots, the acoustics, the staff, etc. and are able to plan accordingly. 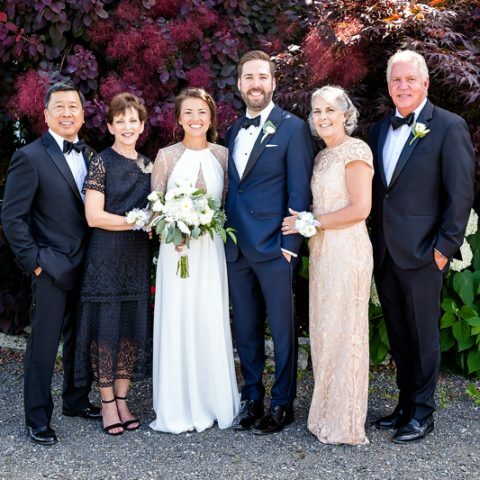 Christina, the wedding planner, did an excellent job of making sure everyone was there when they needed to be, had what they needed to do their jobs, and didn't have to bother us at all.